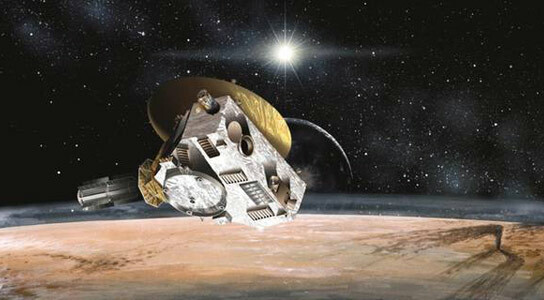 NASA’s New Horizons spacecraft has detected surface features on Pluto, revealing bright and dark regions on the surface. 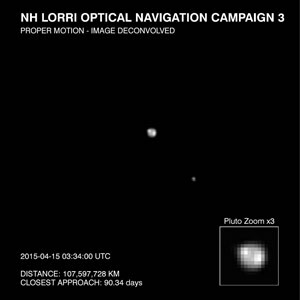 This image of Pluto and it largest moon, Charon, was taken by the Long Range Reconnaissance Imager (LORRI) on NASA’s New Horizons spacecraft on April 15, 2015. The image is part of several taken between April 12-18, as the spacecraft’s distance from Pluto decreased from about 69 million miles (111 million kilometers) to 64 million miles (104 million kilometers). 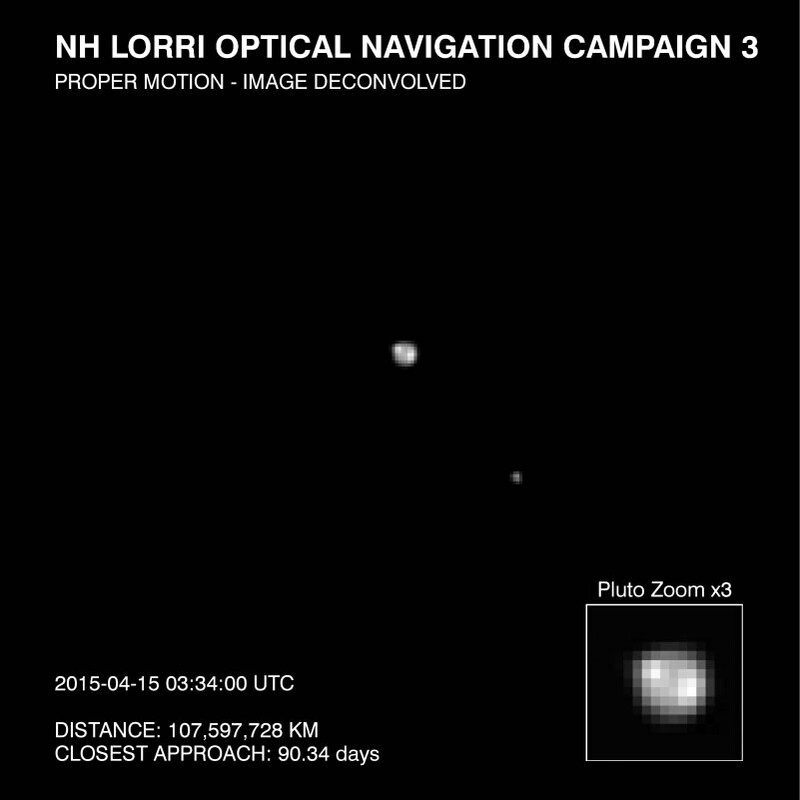 Be the first to comment on "Surface Features Detected on Pluto, Possible Polar Cap"